Just About Ready to Fly! 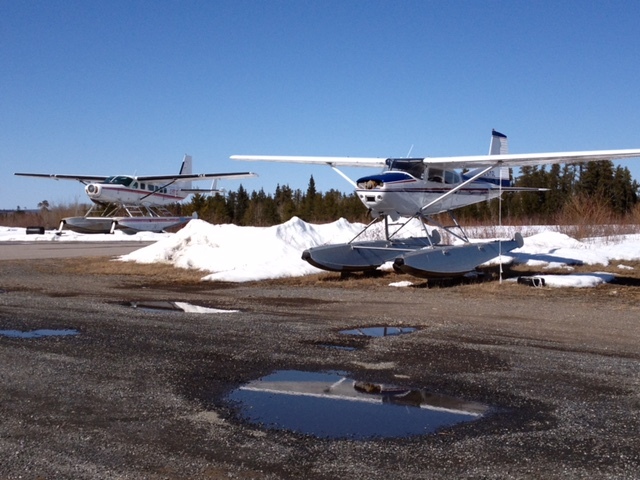 Nestor Falls Fly-In Outposts spends most of our off-season preparing for guests to arrive in May. 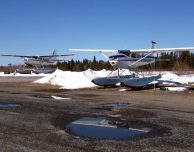 If you’re accustomed to seeing 5 float planes waiting patiently by the docks, you’ll be interested to know what happens to ’em during the winter months. 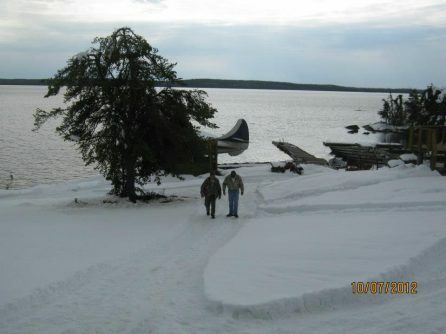 It’s a must to remove the planes from the water before the snow falls and the lakes freeze up. But in the late fall we sometimes get caught with our planes still in the water. If Nestor Falls has heavy, wet snow, that could be trouble…the weight of the snow might cause the planes to sink at the dock! 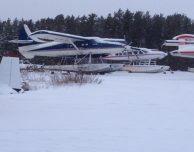 In the interest of keeping our float planes above water, they spend most of the winter on dry land. 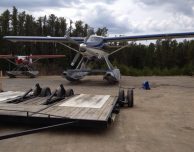 We fly them to our maintenance facility in Minaki where our maintenance people will load the plane onto a cart. 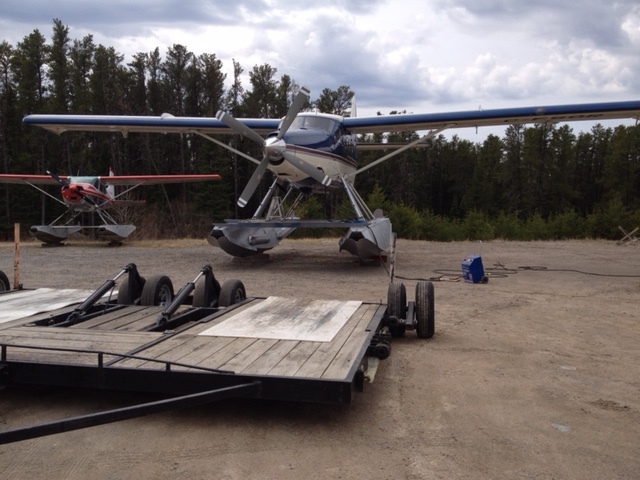 They then pull the plane and cart by a tractor out of the water and bring them up to dry land at the hangar. Once they are at the hangar the boys will look over each of the planes from nose to tail, changing out cables and making repairs. 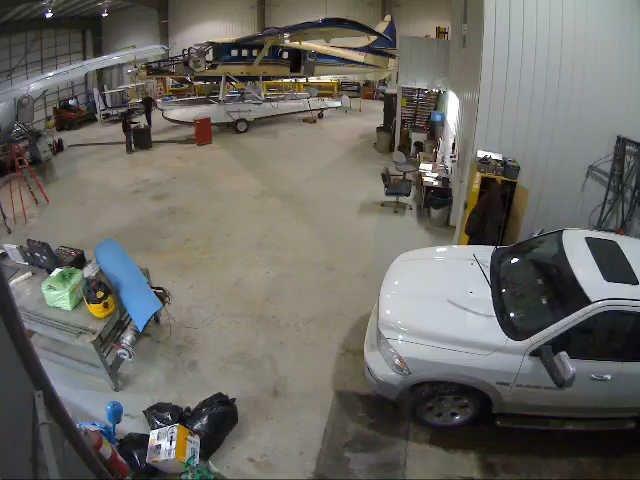 Each plane spends 3-4 weeks in the hangar, to ensure our Nestor Falls Fly-In fleet runs well during the busy fly-in fishing season. 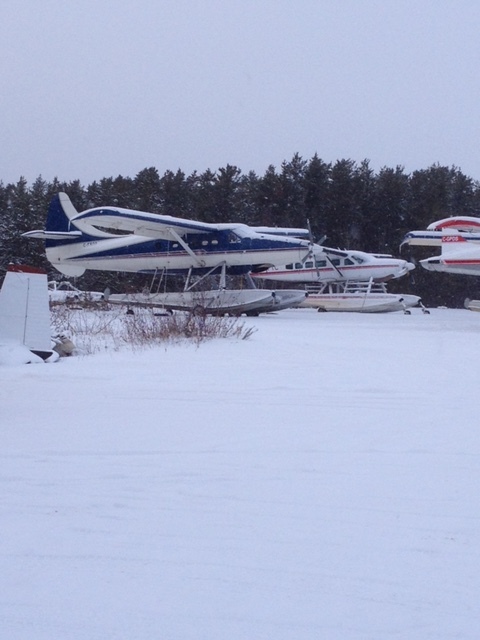 By mid-March, each of our planes has been inspected, and we’re thinking about returning them to the dock. I hope you’re just as ready to fish as we are!